Godrej Sky Garden project by Godrej Properties Ltd brings in the purity and sanctity in life just like a divine feeling every day. Homes that are well planned to offer a complete satisfaction and value for money. With the powerful foundation of relationship and trust, they create not only homes for the people, but also reinforce them with the walls of warm relation and the strength of trust to achieve a reputation for excellence, unmatched in the construction industry. 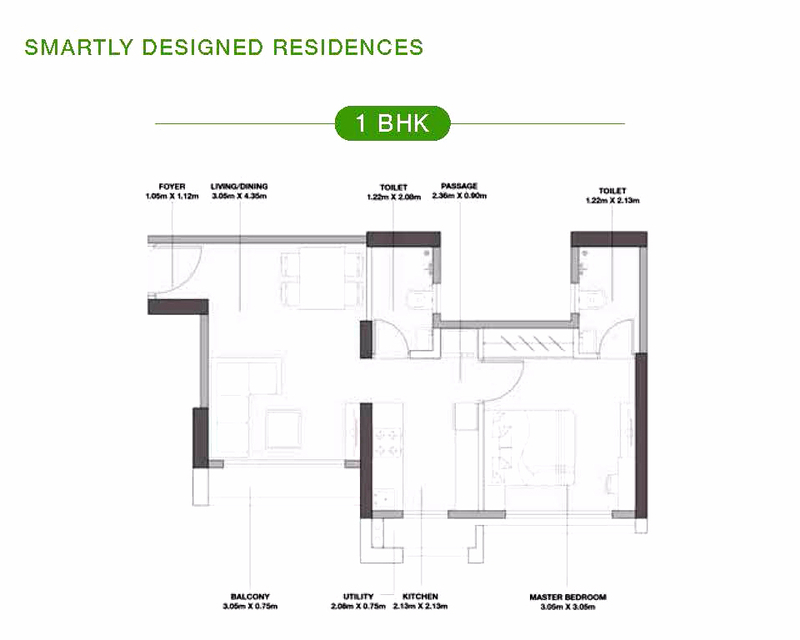 These amenities are required to lead a cushy and convenient life as various amenities are been clubbed within the complex. Feel the clean and pure air that assures to be the most unimpeachable of creations. You will get a new life for yourself with eternal work of art that will definitely fulfill your each day with fresh air and sunshine. The project is also sharing modern equipment and facilities like gym, swimming pool, club house, jogging track, power back up, children’s playground area, rain water harvesting, and beautiful landscaped gardens, firefighting system and much more and all these facilities are sure to keep the residents absorbed in a healthy way of living. 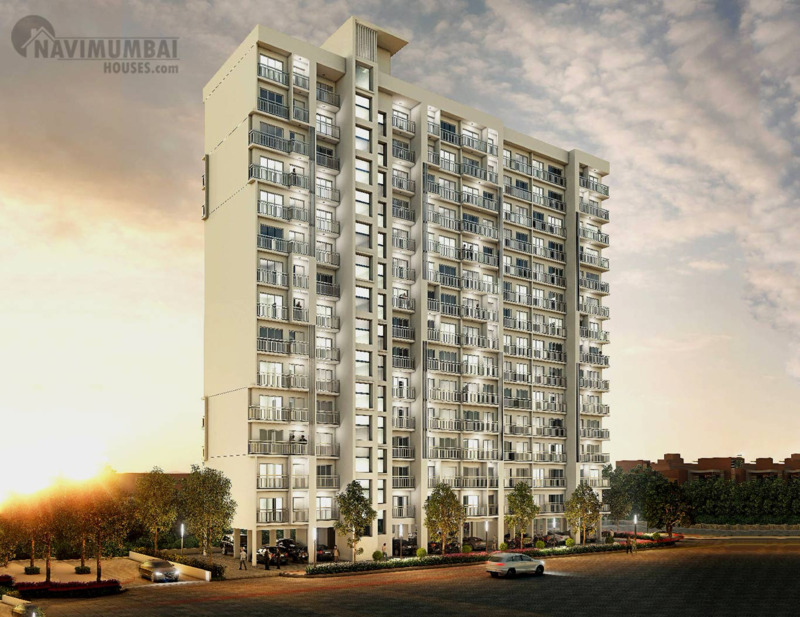 When life unveils the best story of high-living to you, you know every dream of your life is just about to come true then Navi Mumbai Houses won’t leave a single chance to make your dreams come true. 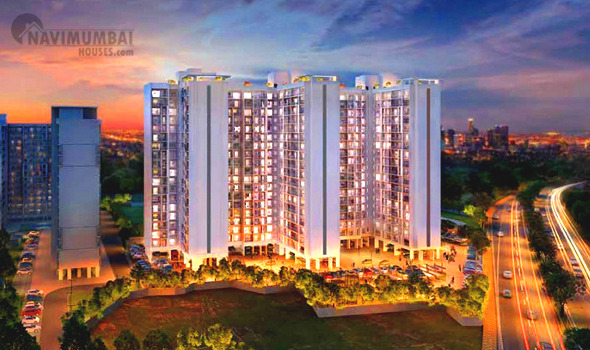 Navi Mumbai Houses is a fast growing real estate developer catering the needs of all its residents, our group aims to be a leading real estate conglomerate by providing impeccable design, quality, meeting customer needs and harnessing quality manpower. Navi Mumbai Houses a top level Real Estate Agency in Navi Mumbai plays a key role for providing quality houses. Top Quality as per Market Standards. 2BHK (850 Sqft - Carpet Area) 1.10 Cr. 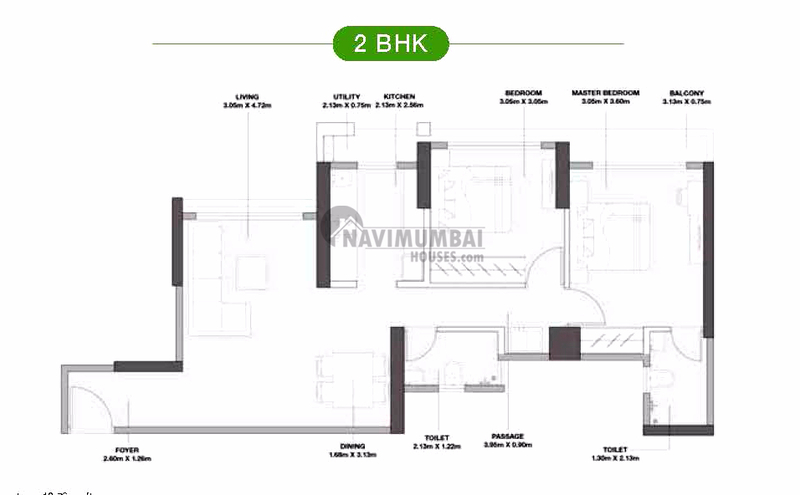 2BHK (868 Sqft - Carpet Area) 1.10 Cr.